So you’ve finally managed to get rid of that nasty piece of malware that’s been causing you all sorts of grief – your anti-malware application has come to the rescue. But now you’re left with another problem; a problem which can be equally as aggravating. We’ve all heard the horror stories where the user was left to deal with the following problems after successfully removing an infection. Scary stuff to be sure, but you don’t have to be a Techno Geek to deal with these types of problems. Even though, for the casual or new user, a manual solution may be outside their technical abilities, there is a great newbie tool which offers a free solution. 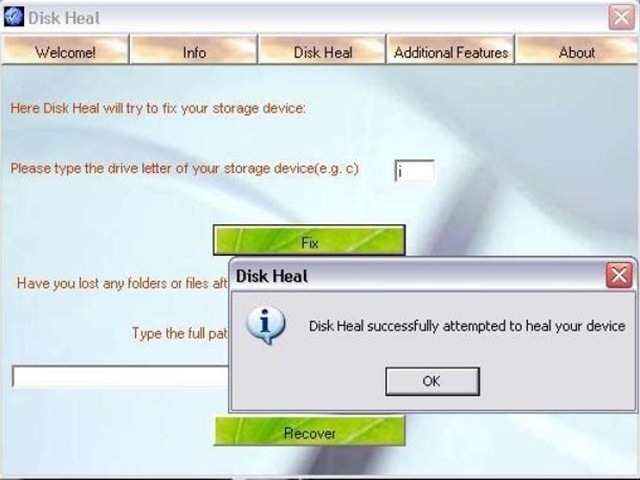 Disk Heal is a free Windows NT, 2000, XP and Vista utility that may be able to restore the condition of your Hard Drive, or a USB Flash Drive, after it has been being infected by a virus. 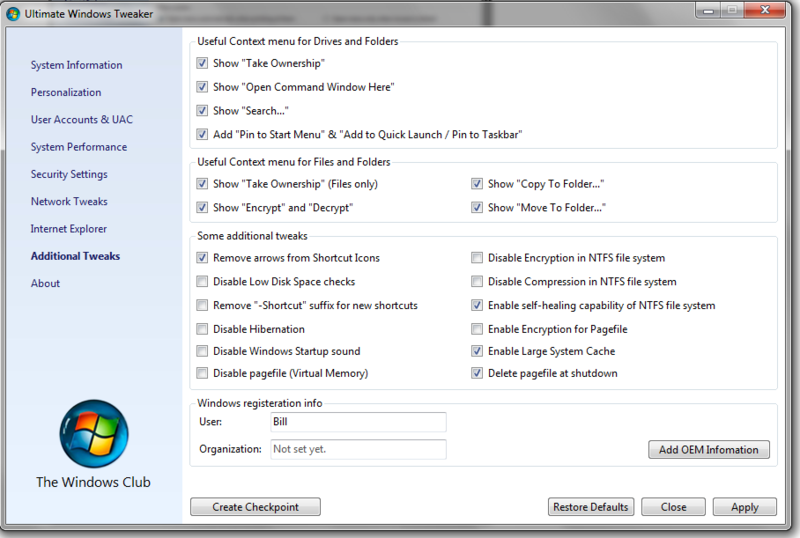 Disk Heal is a great free tool that has a host of additional capabilities, including recovering hidden files and performing system tweaks, The simple interface makes it easy to access these additional functions, with with just one click. As you’re building your toolbox of system utilities, this is a good application to add. None of us are immune to a virus infection, and at some point you’ll be glad you had this little tool ready to go. 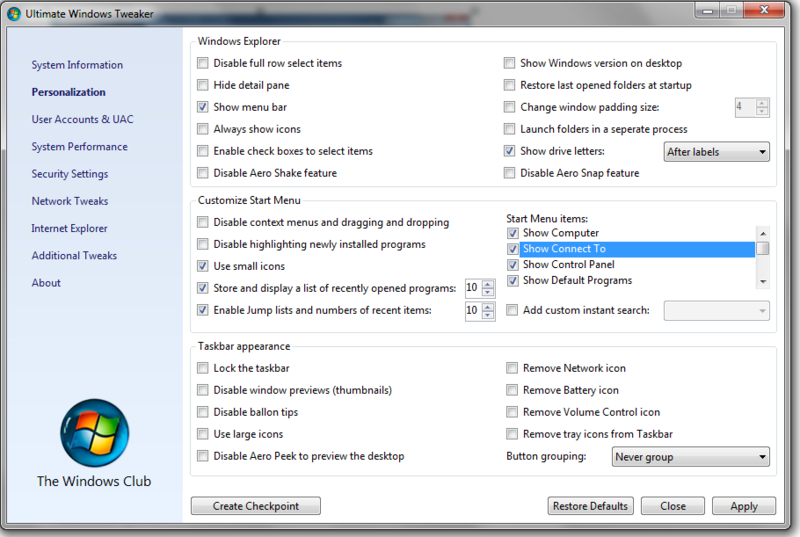 Tweak Windows to the Max with Fresh UI Free! Has Fresh UI (User Interface), been around forever, or does it just seem that way? 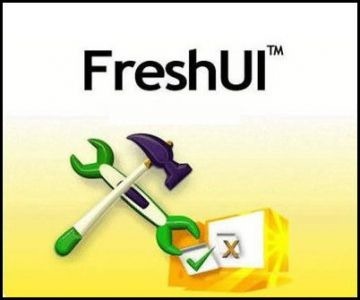 One of the oldest and most well established free Windows tweaking applications, Freshdevices’ Fresh UI is a powerful tool that allows you to configure and optimize your version of Windows. 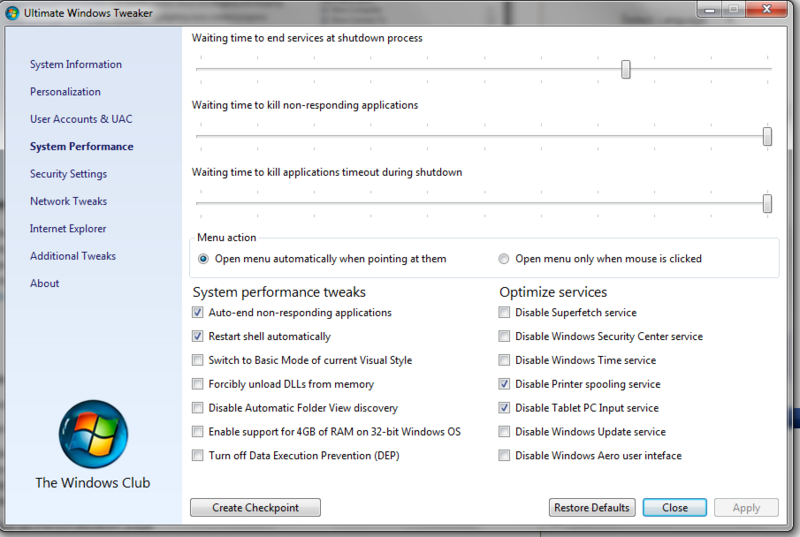 This small (1.48 MB) program has a clean, easy to understand interface that gives you access to hundreds of system settings, some of which are hidden, and others that are just hard to find. The interface is organized by section for easy navigation, and it is complete with detailed descriptions for easy reference. 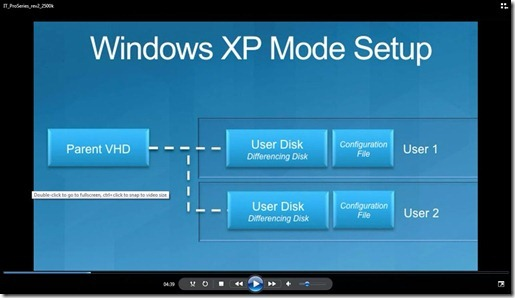 However, as with any application that makes changes to your system, use caution and be sure to have a verified backup. System requirements: Windows Vista/XP/2000/NT/ 98/95/ – runs great on Windows 7! Note: Free registration required, which will lead to one or two emails monthly. While it’s true that most anti-malware applications will remove an executable malware file from your system, depending on the infection, it is not uncommon that it will be unable to reverse the damage already done. In many cases the user will be left to deal with the following problems. It’s not necessary to be a Techno Geek to deal with these types of problems; there are a number of manual methods to resolve these issues. 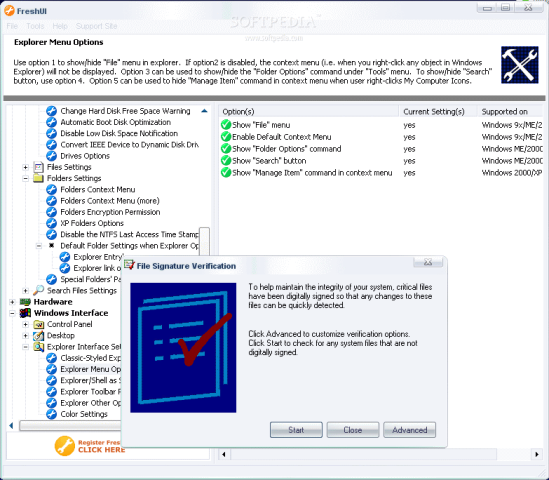 But for the casual or new computer user, the solution may be outside their technical abilities. Fortunately, there is a free solution that is new user friendly. 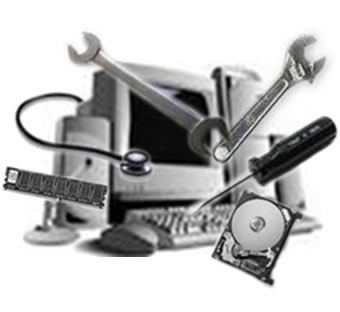 This free application is a very useful tool that has a host of additional capabilities, including recovering hidden files and performing system tweaks; all can be accessed with just one click.